Hunting kangaroos, Australia, 1877. 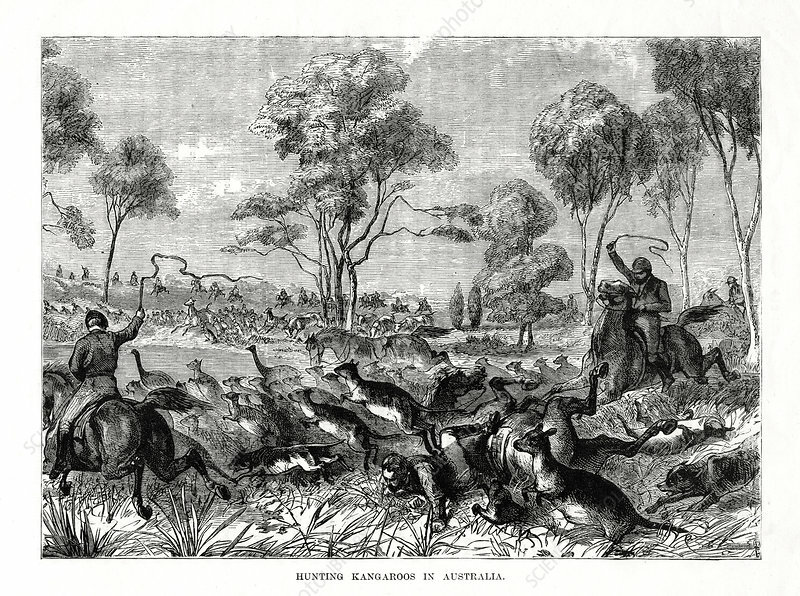 Dramatic outback scene with dogs barking and mounted men chasing frightened kangaroos. One hunter has fallen from his horse.